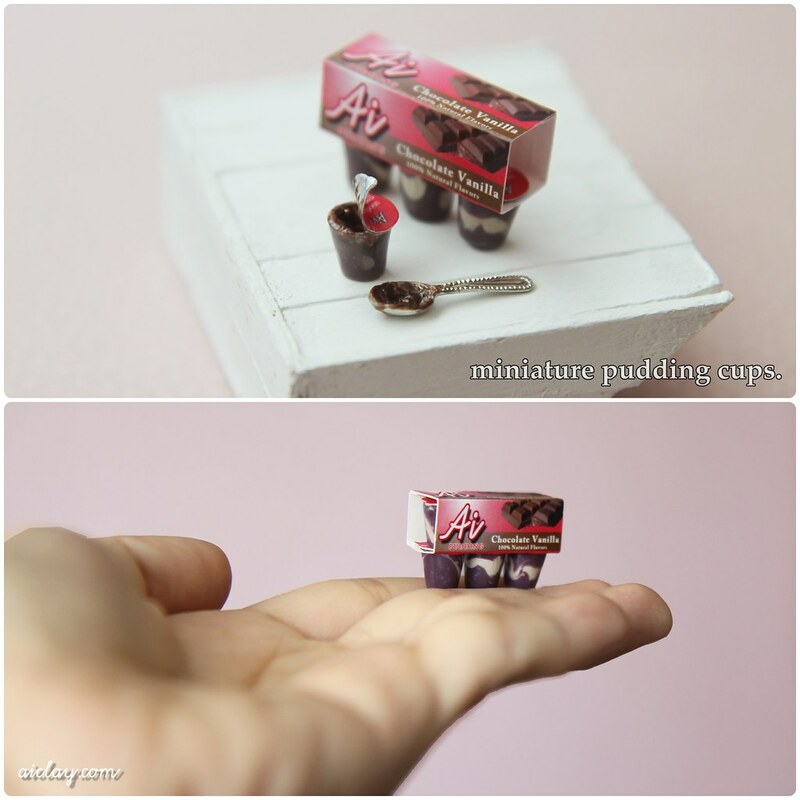 AiClay - a Haven of Miniature Food: Back with some pudding love! This time, I brought along my DSLR so I got to snap away. Sharing some photos at the end of post, but first. Here are some miniature pudding cups I handsculpted ('cept for little metal spoon). Packaging handmade by me as well. I searched high and low for Jello pudding cups in the supermarkets here to investigate the packaging further, because believe it or not, I have never had a pudding cup before. They're hugely popular snacks in Hollywood movies, so I guess puddings are just not an Asian thing. 1. 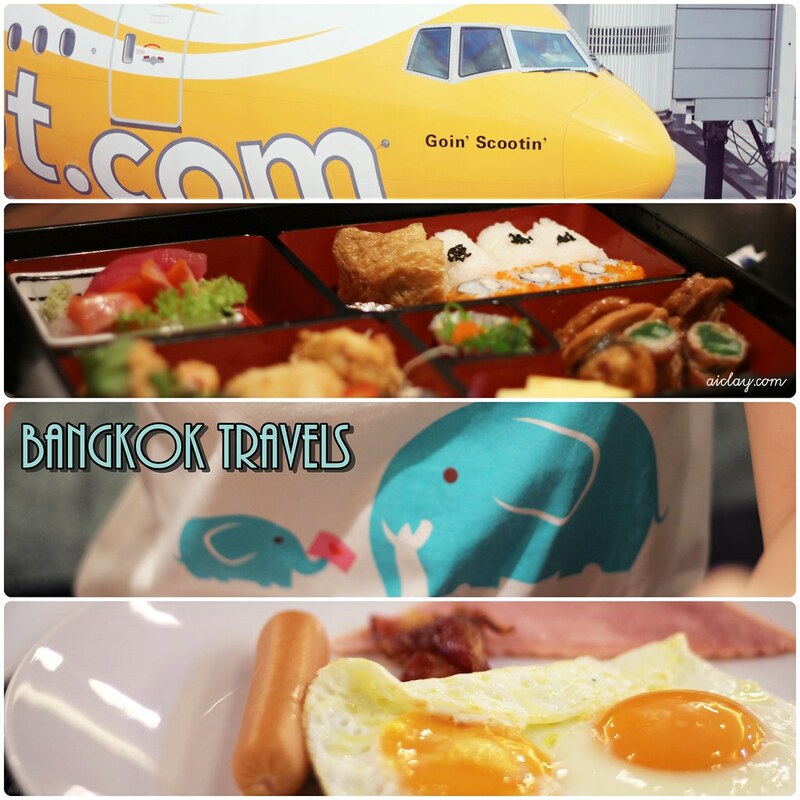 Scoot airplane which flew us there. 2. The first dinner we had when we landed, Japanese! 3. My elephant ♥ top which I bought in the previous trip there. 4. Hotel breakfast for all 3 mornings, we got to choose the kind of eggs we wanted - scambled, omelette, hard-boiled.